The north bank of the Platte River, from the 1830's through the 1860's, served as a major overland route to the West. It was used by fur traders, soldiers, gold seekers and other emigrants. The expedition of Major Stephen H. Long passed through this area in June 1820. Just south of the river were the last villages of the Pawnee Nation, prior to their being placed on a reservation. Fremont was named in honor of General John G. Fremont, when settled in 1856. This trail is usually referred to as the Mormon Trail, as they were the first to use it in great numbers. This route was also known as the Omaha-Fort Kearny Military Road, and the stage line between Omaha and Salt Lake City also ran here. It became the line of the first trans-continental telegraph in 1861, and a few years later it became the route of the Union Pacific Railroad, the first trans-continental route. The railroad reached Fremont in 1866, and, in a few years, the Platte Valley of Nebraska ceased to be a frontier, becoming a prosperous farming region. With the development of the automobile, this route became U.S. Highway 30 or the Lincoln Highway, the first trans-continental road. It was completed to San Francisco in 1913, though the portion of the road west of Fremont was not paved until 1920. Begun as a major road to the West, it developed into and remains an important route to the East as well. 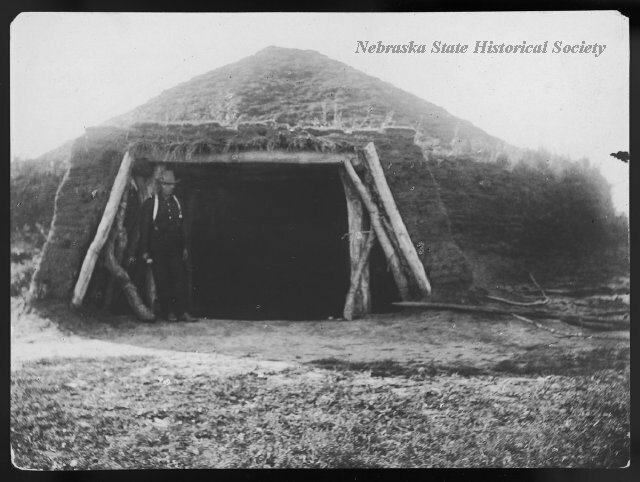 “The Great Platte River Route West,” Explore Nebraska History, accessed April 18, 2019, https://mynehistory.com/items/show/160.